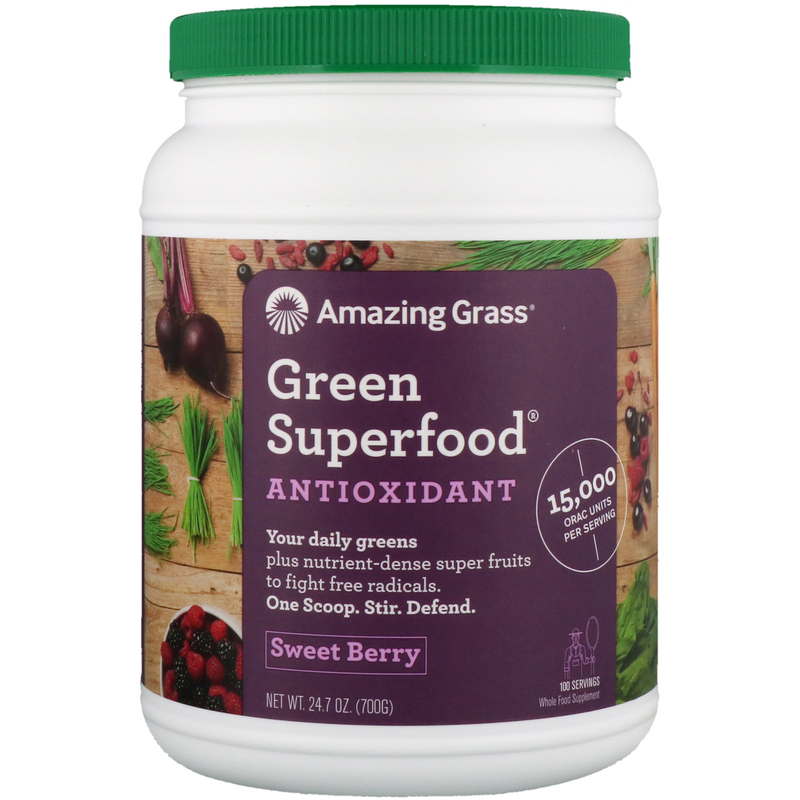 This powerful blend thoughtfully combines our alkalizing farm fresh greens & wholesome fruits and veggies plus an antioxidant blend packed with 15,000 ORAC units per serving to help you feel amazing everyday. 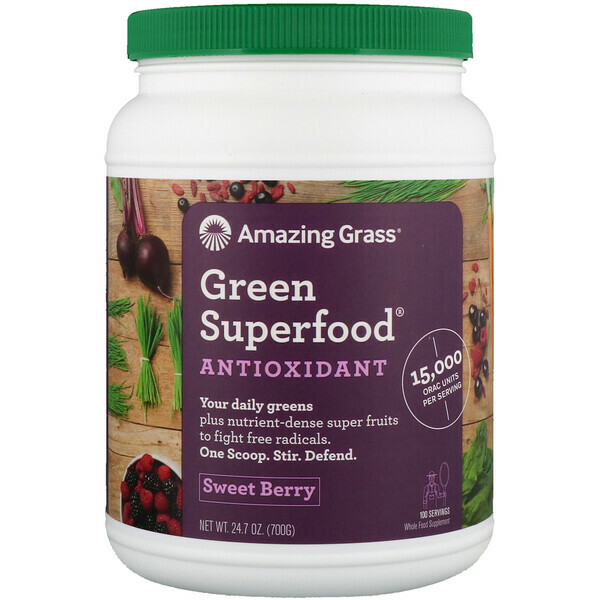 We organically grow & harvest the most nutrient-rich greens on our family farm in Kansas & craft them with the highest quality plant-based ingredients curated from like-minded farmers around the world. Honestly Grown. Thoughtfully Harvested. Simply Enjoyed. Add one scoop with 8 oz. of more of water, juice or smoothie. 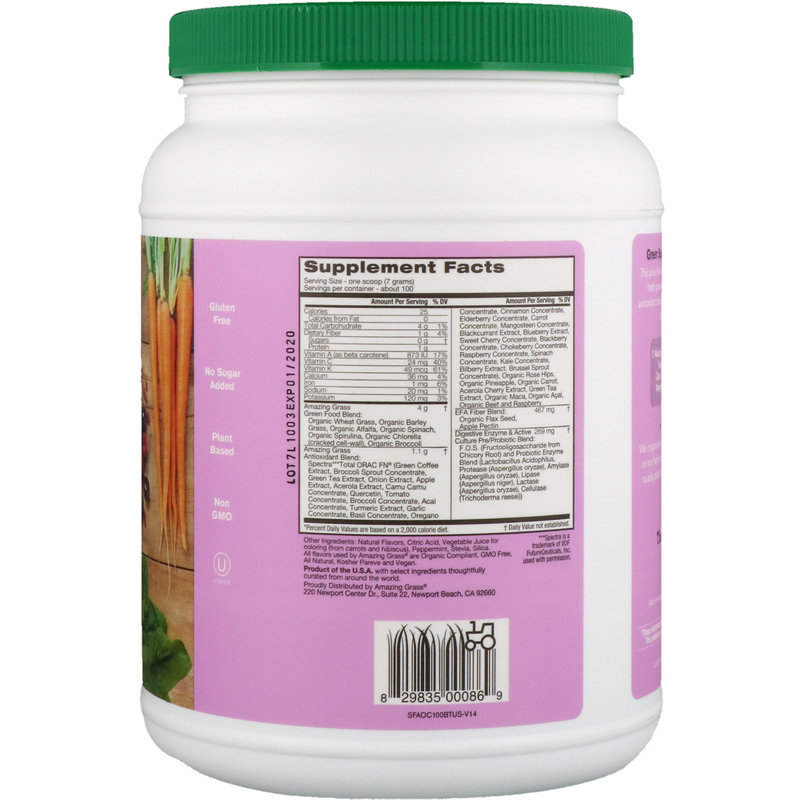 Natural flavors, citric acid, vegetable juice for coloring (from carrots and hibiscus), peppermint, stevia, silica. All flavors used by Amazing Grass are organic compliant, GMO free, all natural, kosher pareve and vegan. Best kept frozen, refrigerated or in a cool, dry place after opening.